Are you ready to say "Hello!" to new, soft lips? Yes, of course you are because there is nothing worse than waking up ready to wear your new favourite lipstick and your lips have decided to dry up and become flakey overnight. For me, I have always had dry lips. I feel I stay really hydrated and I drink plenty of water before and after I am teaching dance or going to the gym but there is nothing that I do or in fact don't do that I can really pin point what makes them worse. However, I was in Lush back in Cornwall a few weeks ago and came across their lip scrubs. My lips had really been playing up that week and no dry toothbrush trick could solve the problem. There were 3 to choose from 'Bubblegum', 'Mint Julips' and 'Popcorn'. I wasn't really fussed on any of the scents as they were all quite sickly but I did prefer 'Popcorn' the most and so off I popped to the till. Later on that day I used the lip scrub twice and I could already see a huge improvement. Thank God for that! Now, you maybe thinking that scrubbing your lips may cause some irritation. Not for me it didn't, or anyone else I know that has tried it. I have had eczema my entire life and my skin is prone to dislike pretty much any product I use! This lip scrub however did not cause any sensitivity or redness and I have now used it many times. This may have something to do with the fact that out of the 7 ingredients this has in it, 6 of them are completely natural! Directions for use are as simple as it gets. Apply a small amount to your lips, gently rub in and smoothly buff away with a splash of water or a cloth/flannel. That's all it takes to get your lips looking chapped free and ready for your favourite lip product! 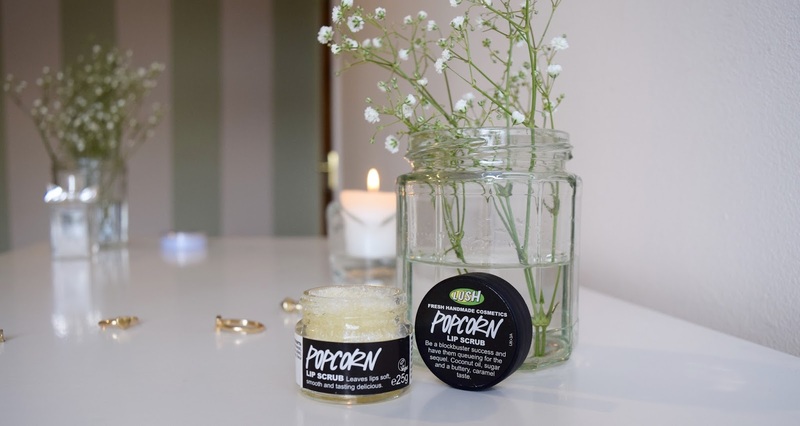 At only £5.50 I really feel like everyone needs a pot of lip scrub in their bathroom. Even if you don't have sensitive, dry lips this really preps your lips before you apply something like a matte liquid lipstick. 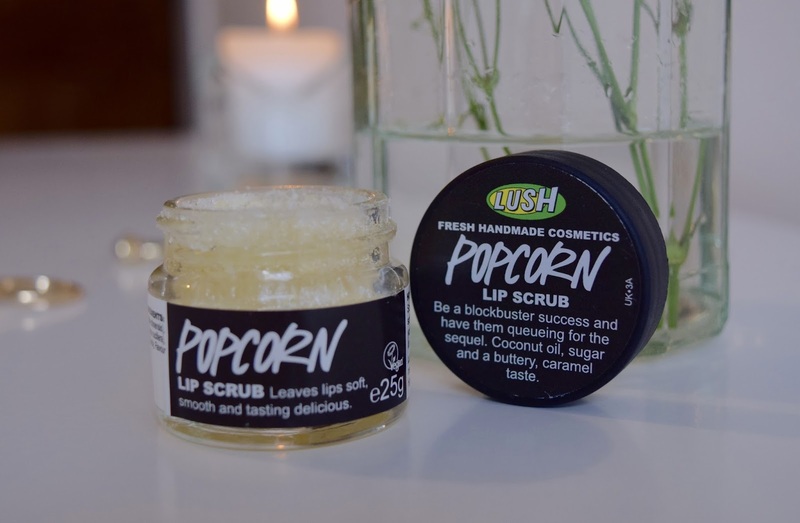 If you have tried out any of Lush's Lip Scrubs before, please let me know what you think of them!